Are you looking for a family-friendly Christmas Eve worship service? 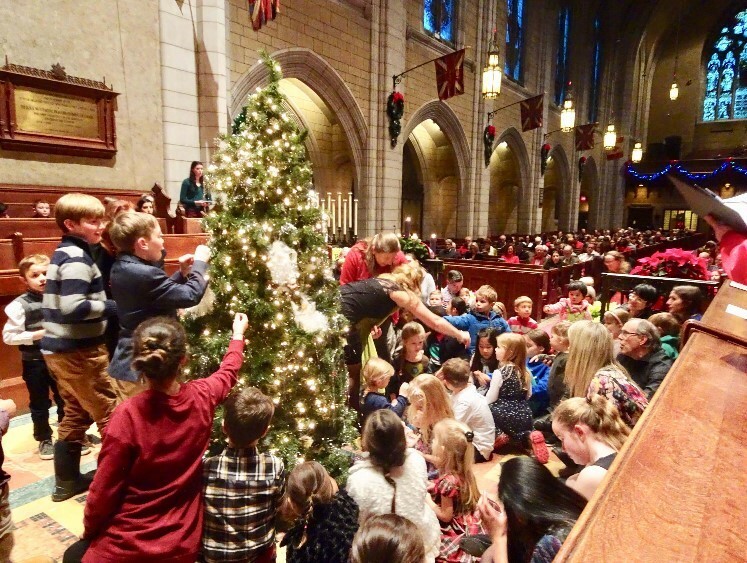 If so, you are invited to join the children and youth at the Church of St. Andrew and St. Paul as they decorate the church’s Christmas tree while they recount the story of Jesus’ birth. Music includes congregational carols, and a quartet from the choir singing Christmas classics. The entire service is kid-friendly, noise is not a problem and at the end of the story all children in attendance are invited to participate in Jesus’ birthday celebration. Free admission.